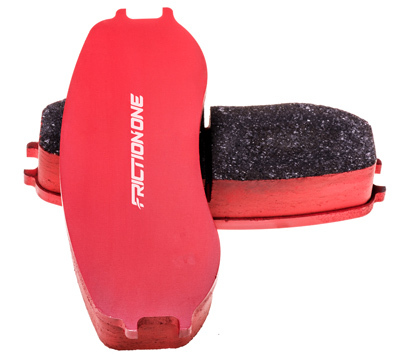 that are explained or identified by it nature or essential quality"
The Friction-One race compound program is validated in motorsports to offer the absolute best technical characteristics (friction, wear resistance, fade resistance, modulation, release) for all Porsche applications. Originally created to offer a competitive advantage for our own sportscar racing efforts, this program offers a comprehensive range of endurance and sprint race compounds to suit the specific demands of all professional and club racers around the world. The RS.P compound is formulated to offer excellent friction and braking consistency all while maintaining the characteristics of a road friendly pad. The compound has been validated to ensure ideal low NVH (Noise, Vibration, Harshness) characteristics for road driven and novice track applications. RS.P has been specially formulated to ensure the least amount of brake dust possible without compromising the dual purpose (road – novice track) nature of this pad. 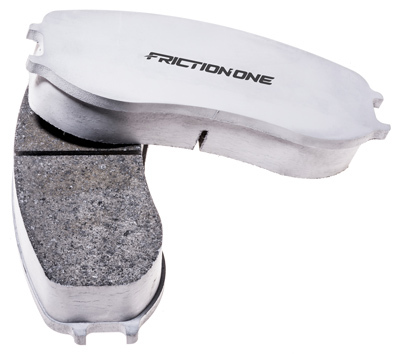 Established in 2017, Friction-One supplies Motorsport brake components and solutions for various Porsche applications directly derived from experience in professional Motorsports. We specialize in tailoring our solutions to each client’s specific needs and individual application.